Here’s my concept for a writing course that would work super-well for angry little homeschoolers! Like GZ sometimes is when he’s disrespected… and frankly, being three-ish feet tall and super-cute, he gets disrespected a lot; Naomi snickers at just about every thing he says, and he takes it VERY personally. The thing is, he’s a kid who really doesn’t like writing, though he will resort to it at times when he has something super-important and official to say. Like when he got angry at us this morning and decided to punish us by selling everything important, starting with his GZ Cape (being in Canada, this is pronounced “jee-zed,” in case you’re curious). And he used colons when he made the list! I don’t know if he’s ever used these before. Is it weird that I am mainly just proud that his handwriting has come along so nicely??? Look what I found in my Playbook! Just shlumped down at the table late last night, procrastinating, and pressed a button – almost at random - on my Blackberry Playbook, only to discover… a kid!!! Elisheva has one too, and was sitting in the basement of her grandmother’s house in Calgary, chatting with her friends when I accidentally called her. That is a very cool thing, and gives me a lot of hope for the future of communicating with my family. 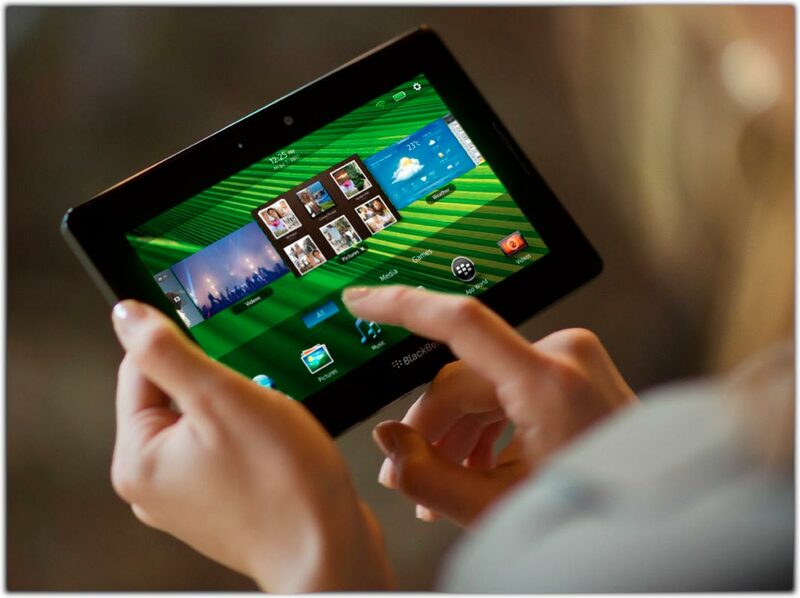 I totally love the Playbook, by the way. Mine is 16gb, an older model, which I bought “used” but never opened on Craigslist back in January. 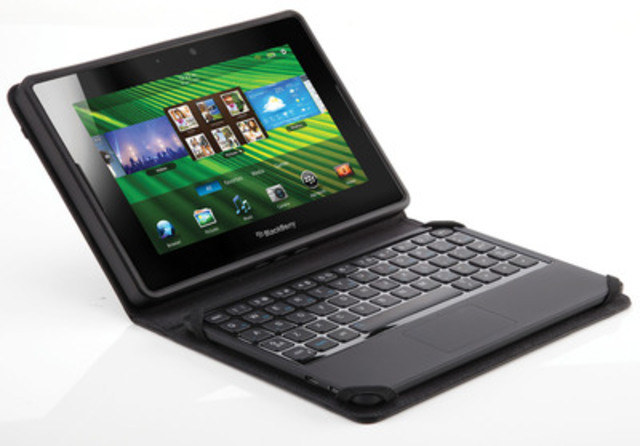 I wanted something super-portable that I could take with us on our pilot trip and beyond. It came with this nifty little case which a) protects it, and b) includes a stupid little Bluetooth keyboard that turns it into the World’s Tiniest and Stupidest-Keyboarded Laptop. I don’t use the keyboard much, though I did for emailing the family and my blog while we were in Israel. It has WiFi and also built-in GPS, which I’ve been playing with a lot this week (mostly to discover that GPS is more or less useless without software, but anyway… still kind of cool in a geeky way). Anyway, it was nice to see my kid. Kite-flying doesn’t work. Actually, this wasn’t a first; I have taught them this lesson a couple of times, I believe. Every fall, I think, “Let’s go fly kites!” I get all excited and build it up and build it up and then finally get outdoors with a kite and… nothing. Boom. No kite-flying. Sort of like science experiments… they works for other people, but not for us. Although today we had friends along and their mama tried and mainly failed to fly a kite as well. So now they know for sure that any kite-flying they see online or in pictures is simply special effects, Photoshop and camera wizardry. If you play with water, you will get wet. This one’s a good lesson, actually. I have told them many times, this long chilly spring, that it’s too early in the season to play with water; that they’ll just get soaked and then be chilly and miserable. Today, they ventured into the water-play area and found out for themselves. Hurrah! I have just shifted a bunch of books from Lulu to Amazon, as well as making a couple of new ones available that were sitting in the “almost ready to go live” hopper. These last two are the same book in two different versions. 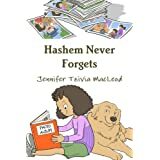 The “Hashem Never Forgets” version is geared towards observant Jewish families, while “After a Thousand Years” is religiously neutral, for Jewish or non-Jewish families. The only changes, beyond using the term Hashem, are that the girl is named Faigy (not Andrea), the grandfather is referred to as Zeidy (not Grandpa), and a reference to her going to university is changed to seminary (not that I’m against university, but since my daughter’s heading to sem next year (before university), I thought I’d include it as a worthwhile endeavour for a young girl!). I do have a couple more projects with art on the go. They will hopefully be ready to order before our big move in August. Thanks to everyone who’s bought books so far! If you do happen to own a copy of any of these, I would like to ask you to stop in and write a review. Even just a couple of sentences and a star rating can help lend credibility. Despite my previous post (about taxes on royalties), I don’t want anybody to think I’m making a fortune off these – I’m not and never will. But every little bit helps! There is a way around this, CreateSpace will tell you. First, you need to get an officially certified copy of your passport, which is not the same as a notarized copy because it will cost you a lot more. Then, you submit them (or the original passport – ha ha ha) with a bunch of other paperwork, including a letter from your prospective “employer”, to the IRS to eventually, someday, get an ITIN – taxpayer identification number. You can do this the slow-boat way by mail or submit it – for another fee – to a certified “receiver” company in your foreign location. Either way, once you have your ITIN, you just submit a form to CreateSpace telling them not to keep your money or give it to the IRS… simple. I still have to send the form in to CreateSpace telling them not to keep my money. The rate for Canadians is 0%, which is great (more for me! ), but when we move to Israel, I will need to submit another form with my current address, and I suspect the rate is 10 or 15% (the rate is determined by pre-existing tax treaties between governments). Whatever it is, it’s still better than 30%. Naomi Rivka is out delivering the form to the mailbox now. So now I’m all set! In about 2 weeks, they’ll have it and hopefully, someday, I will “tip” over the royalty threshold and will actually get a cheque. Oops… I mean, a check. What?! Adding curricula? Am I nuts? Well, first things first. Naomi finished the Explode the Code series a month or so ago and I wanted to move her into a series of phonetically rule-based spelling books. Except I couldn’t find any that were no-nonsense, quick and easy, with lots of independent work (like Explode the Code) and no teacher preparation. We tried Spelling Workout last year and both hated it, and I have since looked over any number of spelling books before finally discovering the one I wanted: Rod and Staff. Those of you in the know will have already gasped and fainted, so for the rest of you, Rod and Staff is a Mennonite publisher of Christian curriculum materials in a wide range of subjects. They’re not just a little Christian, they are a LOT Christian. Still, I was so excited by the samples I saw that I decided to order the books and “work around” any issues in the texts… and there ARE many. Um, well, first let me say what I liked, and then I’ll show you some of the issues and how I plan to work around them. I like that each lesson takes up exactly one two-page spread. I like that it uses script, which ties in well with what Naomi is learning in HWOT. I like that there are pictures, but they are simple, sparse, and not distracting. I like that it teaches alphabetization and dictionary skills. I like that every six lessons (I think), there’s a comprehensive review of all words learned so far (see below). But some isn’t, like the capitalization of the word “Son” in the example below. Not sure if I’m going to go over the pages with White-Out exactly, or just cross out the examples and write in some of my own. 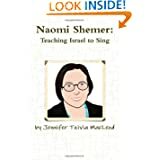 Still and all… I am very pleased with this program, although since we’ve just begun and I’m taking things one week at a time, I certainly cannot vouch for or recommend this series as one Jewish homeschoolers should take on without a great deal of caution. Hmm… maybe someone needs to write a Jewish one? Now, there’s a thought! Now! Since I said up top there were TWO new curricula… you may be wondering what the second is, and I’ll tell you: French. I have been feeling sad for a while about leaving behind Canada’s second official language, a language I love and actually think I’m pretty good at (not fluent, you understand, but my French is way better than my Hebrew), and living in Canada, I have always enjoyed just having it in the background, if you know what I mean. So I looked around and posted online and after briefly toying with the idea of getting the Alex et Zoe program that my big kids used in elementary school, which seems to cost over $100 a year, all-told, I went with a speaking / listening / comprehension-only program (ie no written work!) called L’art de dire, from a local company called Nallenart. The program is pretty well spoken of in the homeschool world, it’s less expensive than some other programs, and likely (I haven’t listened carefully) teaches Canadian, as opposed to Parisian, French (sort of like learning British vs North American English). Before I went to order it (from what the site describes as “Our very cool Nallenart Curriculum Shop” (but which failed to deliver any essential coolness), I noticed a couple of sites that said the company’s customer service was lousy, that shipping was slow, and that if you’re interested in this program, you should probably buy the instant-download PDF version. Except that, now that my printer is so stupid, I hate using PDF versions that you have to print at home. Maybe I’m just getting cranky in my old age: if I order a book and pay for a book, that’s what I want… a book. I did the next-best thing – I ordered via PayPal, having had one or two good experiences of getting my money back in cases where people didn’t ship what they said they would. And it’s a good thing I did, as it turns out. When I say that it’s a “company” publishing this book, I say that in the same sense that I am a company publishing my book (I am! click here to buy one!). It’s a one-woman operation, which wouldn’t be a problem if she would ship the books when you order them. But she didn’t. I admit, I wasn’t very patient. Having read poor reviews, I was nervous, and a couple of weeks after I ordered a product that was supposed to come with “next-day” shipping, I emailed. I phone the number on the website. I emailed again. I posted on facebook. And then, a week later, I filed a PayPal claim (you only have something like 45 days to file it). Two days later, I got an email from her saying the book would be here the next day… and it was. Though I never did get a reply to my follow-up email (“Was there a particular reason you ignored my multiple attempts at contact?”). Anyway, the book and CD are here, and they’re put away for the time being, but I’m actually kind of excited about using this program… it looks good. The book has a few sections: lesson plans, picture flashcards (you’re supposed to copy them onto cardstock, I guess), story dialogue and story pictures. (I guess you hold them up while listening to the story on the CD?) The art in the book is rudimentary and homemade-looking, and in some cases, kind of bad (especially for a company with the word “art” in its name), but it will get the job done. Oh, yeah… and the postmark indicating that it was mailed to me on June 10th, nearly 3 weeks after I ordered it (and paid $13 for next-day shipping! ), on May 21st. All in all, the program looks good – and I love that there’s no writing involved, so both kids can do it together! – but I wish that this company (ie person) was a little more interested in building goodwill among her clientele in the homeschool world. In fact, having listened to snippets of the CD and flipped through the book a bit, I think the program looks very impressively comprehensive, covering a whole bunch of things from greetings to colours to telling time and more. Nevertheless, while I might be prepared to recommend the product itself, I can only do so with the caveat that you’d better be prepared to fight to receive what you’ve paid for (or be prepared to download and print stuff on your own at home). I wasn’t sure where to post this, and actually began posting it to my aliyah blog, but decided it was more homeschooly, so now I’m switching it to here. Socialization – not in general, because homeschooled kids DO socialize, but they will need to make friends fast and although there are chugim (extra-curricular activities), youth groups, shul, and homeschooler get-togethers, school is the best way to do that. Language – I want them to learn Hebrew immediately. School is perhaps a brutal way to do that, but it’s fast and everybody says they become fluent within months instead of dragging it out. Ulpan / Work – both Ted and I will need to concentrate on other full-time pursuits: at first, ulpan (Hebrew language learning), and later, jobs or, at least, the pursuit thereof. Nevertheless, I am not “quitting” homeschooling, though I will be ceding some of the responsibility to schools (short- or long-term remains to be seen). I generally resist making wishlists or anything similar because if I express a desire or an aspiration or a hope or a dream, life has a way of stomping on it, like a great big Monty Python foot descending from a cloud. It’s also telling, I think, when I was pregnant, I had no interest in putting together a “birth plan” because most women come up with one of a few standard variations of the same birth plan without realizing that birth isn’t the sort of thing one can PLAN for at all. I suspect aliyah is the same way, so I am trying to avoid making overly-specific plans. Lapbooks! We’ve got to keep some lapbooks! The English stuff looks like a lot, but each of those “subjects” is maybe 5 minutes a day, so half an hour, all-told. The other things are mainly once- or twice-a-weekers, and again, no big drain on our time. History, for example, can be a little or a lot – if we don’t want to do the written work, then at least we will be reading and keeping up with the 4-year cycle of World History. I suspect we’ll have to drop handwriting, and just work on it “indirectly,” through copywork, spelling, etc. Naomi Rivka has a pretty solid foundation already, though Gavriel Zev does not. I may buy him one more HWOT book, since they carry them (along with the ETC books) at our local textbook store. Some of these come as a relief, to be honest. Hebrew, taught by Hebrew speakers in an immersion setting? (Do you know how much people pay for that here???) Jewish history seems like a no-brainer as well, with Roman ruins close enough for a day trip. And they’ve got to be better at teaching science in the schools than I am… or at least, maybe their experiments work out as predicted more often than mine do. One factor I’m counting on is that the school day is shorter in Israel, especially in the younger grades, and there’s often less homework burden on kids. This is what we’re told, anyway. There are still after-school activities, and other groups and clubs and projects that claim kids’ time, but I hope that by carving out a “school” niche early on, we will be able to keep progressing, and more importantly, keep enjoying the process of learning together. One of the things I have always prided myself on, as a parent, is consistency. What I mean, I say, and what I say, I mean, and those things rarely change over time. The negative flipside of this is that I have been accused of obstinacy, but there you go – let’s call it consistency and think of it as a Good Thing for the time being. Because last month I was accused by one of my almost-grown children of inconsistency, and I was horrified. The issue, apparently, was not with anything I’d done – directly. But, whereas my children have always learned here that we love and care for gay people the same as we would for ANY people, the school I chose to sent this child (hereafter referred to as “it” to avoid awkward him/her constructions for the sake of anonymity) to was actively condemning homosexuality and offering negative and bigoted messages to its students, calling homosexuals “those people” who were “chayav skila” (deserving of stoning). Interestingly, this child didn’t accuse me of inconsistency for sending it to a school where teachers and students refer to darker-skinned people as “schvartzes,” though they probably do most happily. The gay issue was foremost in its mind (and - since I know what you’re thinking – I have had long, friendly and open conversations with this child, who is most decidedly straight; oops, I may have just inadvertently given away which child this is). And yes, I felt ashamed. I chose the school, after all. 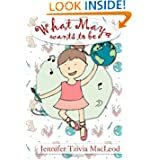 How could I send my child out into a world where not everybody believes, as we do, that we must cherish everybody created in Hashem’s image? Actually, these teachers probably would say they cherish the people and condemn only those acts the Torah itself condemns, but honestly, that kind of talk doesn’t really seem cherishing, does it? I mean, really, this is an important thing to me. 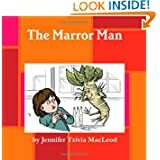 I have never had money to give my kids, and as a BT, I feel like my Yiddishkeit is kind of second-rate compared to some of their friends’ parents, and I sure as heck have no fashion sense, but I have always tried to offer some sense of moral compass instead – the legacy, perhaps, of their grandparents’ secular humanism, blended to perfection with my own Torah values. The bigger question is, how responsible are we for the messages our kids hear from their teachers and school administrators? And how obligated am I to speak out if what they say contradicts what I think of as basic human decency? Let me make it clear – I do believe the Torah condemns certain specific sexual acts. It also condemns lobster, and I don’t see folks picketing Red Lobster. It also condemns witchcraft and sorcery, and I don’t see everyone in the frum world lining up to throw stones at Penn & Teller. Homosexuality has become one of those things that you must speak out against, vociferously, or it’s obvious to everyone around that you have been misled by liberal special-interest groups, which do not have the Good of the Jews at heart. I don’t think it’s my job to stop everybody from doing everything I believe the Torah forbids. I’ve seen what happens under fundamentalist regimes of various kinds and fear it enough to be grateful Hashem didn’t put me or my ilk in charge of running the world. I do think it’s my job to let the kids know what I believe, what we believe, what the Torah says most clearly. And then to show them, with love, friendly words, hugs, openness and acceptance, the way to treat anyone who is marginalized by society. To me, there’s no conflict. On the other hand… I don’t know how many hands I’ve used up already, but anyway… if I am trying to be utterly consistent, how can I go along with a school that teaches bigoted and irrational ways to treat individuals who are just as much b’tzelem elokim (in God’s image) as I am? How can I continue sending them cheques each month? As this child pointed out, we show our tacit acceptance with cold, hard cash. There is no perfect school. Even in Israel, but especially in Toronto, we would never have found a school for people exactly like us. (Well, that kind of school is called homeschooling, and I do that, but this particular kid had not much interest in it.) And learning to live with people who aren’t exactly like us… isn’t that the other side of the tolerance and diversity coin? The same central moral belief that I’ve always – consistently – tried to teach my children? Maybe it’s consistent after all. And maybe not. What do you think??? Nearly 3 years ago, with great trepidation, I released my first printable that wasn’t free: a Book of Centuries. More heavily influenced by Charlotte Mason then than I am now, I wanted my kids to do this instead of a timeline because a) our house is tiny, b) our walls are cluttered, and c) I knew it would take us a looooong time to work on. Have you ever seen what happens to a piece of paper after it’s been clinging to the walls for a matter of years??? In my house, at least, it would be in illegible tatters. Anyway, I found lots of versions around, some free, some paid, but most of them had some sort of religious orientation – which is great; frankly, I wanted a religious orientation. They just weren’t MY religious orientation. I wanted a book that would show what Jews were doing around the time that various periods of civilization – the Renaissance, say, or the Industrial Revolution – were taking place. Oh, yeah, and I wanted, hmm, no, NEEDED to see Jewish dates alongside the English ones, on every single page. So I made this book, at great effort, because I’m not by nature a history person and it was fiddly and frustrating to create. And when it was done, I printed it up on strong smooth white paper at Staples, and it’s still around, all these years later. I don’t think – and I say this with the kind of great pride that often goes before a fall – that there isn’t a single mistake in the page headings, the year numbering or in any other significant area. These headings appear at the top of every single page, with slightly less space for ancient centuries than for modern ones. And because it’s loose-leaf, you can always add pages if your kids get so enthusiastic that they fill up the pages entirely. Unlike a timeline, a Book of Centuries isn’t necessarily on display every day. That’s both good and bad. Kids may not be as familiar with it and you may forget to pull it out – I know, we forget to paste a new historical person / event into it ALL the time. But the good side is that because it’s not out all the time, pulling it out is kind of special, and Naomi Rivka loves to flip around in the book, seeing time periods we haven’t studied, which are mostly still white, and then flipping to the modern sections, which are crammed full of entries. I create new “stickers” in a Word document every time it occurs to me: after we’ve studied somebody or something new. Then, I print them out when I figure we have enough and we have spare time to paste them all in. But I made my life a little easier, too: for $8, I bought the Pandia Press history Sticker Packet from Rainbow Resource, which includes images of many famous figures from every time period. Here are four totally different “stickers” – one drawn by Naomi Rivka, one from the Pandia Press packet, and two I created, one based on an illustration I found and one based on a Magic Tree House book we read (for a while, I was sticking them all into the book). If you look at the cover of the binder, above, you’ll see that it’s had some love and wear and tear, but it’s still in great condition and going strong. I wish I could sell these as hard copies, binder and everything, but I can’t. I do, however, urge you to spend a little extra to print it on the best quality paper you have available and stick it in a nice binder that will last and last. Studying history with my kids has been an amazing eye-opener for me; there’s so much I don’t know. This Book of Centuries has probably been just as much for me as it is for the kids, helping me see the scope of history and keep things straight in my own mind. And if you learn history with Jewish kids, I believe now even more than when I created this, that we have to counter the sweeping tide of secular materials with beautiful books and resources that incorporate our own values and our own people right at their very core. For less than the price of a latté, I believe this Book of Centuries can help you do that. Here’s the link to buy this and other printables on CurrClick. Somebody at the homeschool conference (maybe it was Rabbi Dr. Pinchas Hayman? but I’d hate to misquote somebody) pointed out that learning Parsha with Onkelos (Onkelos was a well-known convert most famous for his “Targum” or translation of the Torah into Aramaic) makes an excellent introduction to Aramaic, ideal for developing skills and vocabulary that can later be used in Mishna and Gemara (Talmud). To test this theory, I have created a 1-page supplement for my weekly Parsha Skills Worksheets, with the same verse broken down three ways: in Hebrew, in Aramaic, and in English. There’s also a little “vocabulary” bubble at the top-right corner, with a few new words introduced each week. Grammar notes include suffixes for gender and possession (I describe it in a kid-friendly way, I promise!) and the “ayim” plural for twos. As always, if you use these and they work, or don’t work, please let me know how I can make them even better. And since I am not a professional, please let me know if you spot any booboos – I promise I won’t hold it against you. 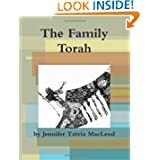 The story of the Torah, written to be read aloud! As always, if you use these and they work, or don’t work, please let me know how I can make them even better! Oh, and since I’m not a grammarian or anything close, please let me know if you spot any booboos. Yes, it’s been known to happen, even to the best of us.